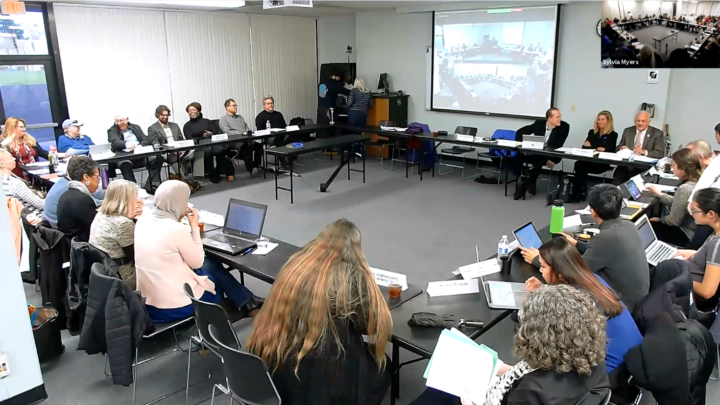 The faculty senate meeting on Jan. 15 decided the quarter to semester change will take place effectively during summer session of the CSUSB 2020 catalog year. “If a student chooses to stay on a quarter catalog everything stays on a quarter catalog, if the student chooses any part to be semester, whether its G.E., Minor, Certificate, Major, everything has to be on semester,” Doctor Craig Seal, Dean of Undergraduate Studies, said. Students cannot mix and match quarter and semester catalogs; the system will not allow it. Transfer students coming from a CSU will still be on quarter catalog. Freshman and high school graduates, as well as community college students, will not be affected by this change since they are required to be on semester catalog. This might be great news for some students, however, it does not come without its negatives. Quarter students will be on the quarter catalog but will be on a semester schedule. Catalog year means that if a student starts the year on quarter, they stay on quarter requirements. This is the same with semester. This is very confusing: the quarter catalog is not the same as the quarter schedule. Students will still have to complete their quarter requirements on a semester schedule. For example, if a student took a 4 unit class going off the quarter catalog, it would remain a 4 unit course on a semester calendar. A normal quarter calendar is about 10 weeks; however, a semester calendar is as much as 50 percent longer, so this is a concern to students because it would take longer to graduate on the semester system. The semester calendar is currently still being discussed by the faculty senate.